Thank you for your ideas and suggestions for events, please keep them coming! 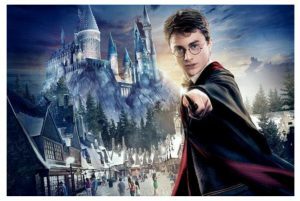 One of the requests was a visit to the Warner Brothers Studio to visit the Harry Potter attraction. The Committee have organised an outing to the studios on Saturday 10th June 2017, with the tour booked at 12 noon. We are booked into the 12.00 Tour and will leave the studios at 17.00 at the latest. £10 for careers (free entry if there is a paying adult or child). We anticipate that this will be a popular outing. Places are limited and will be allocated on a first come, first serve basis. If you are interested in this event, please could you complete and return the form to tasterday@cssc.co.uk. The CSSC team will be in contact to confirm if there are spaces available and to arrange payment (payment has to be made within seven days to secure booking). Closing date for tickets will be 10th April 2017. Copyright © 2019 CACSSA. All rights reserved.